With so many marketing automation providers in the marketplace today, it can be difficult to know where to begin when it comes to selecting an ESP to meet your automation needs. However, this is an important decision that shouldn’t be rushed. On average 49% of companies are currently using marketing automation. Given nearly half of marketers are using automation, we wanted to break down the some of the most important features to consider when choosing a vendor so you can find the perfect fit for your needs and your business. According to a survey of 500 marketers, more than 40% of mid-level marketers have less than $50,000 per year to spend on marketing technology, which includes their ESP. Because of this, single-vendor marketing clouds or all-in-one suites with hefty price tags are often out of the question. 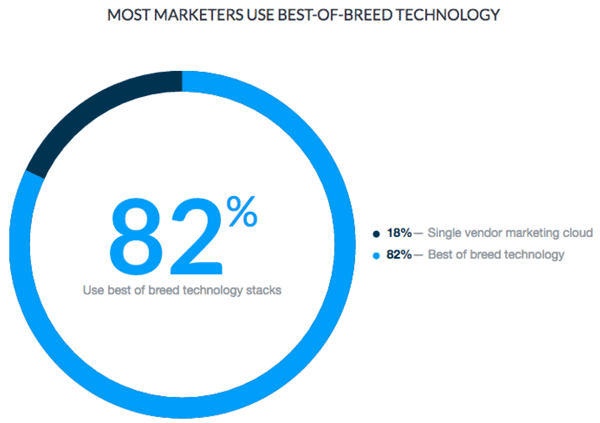 Instead, the data showed that 82% of marketers turn to best-of breed technology, which allow them to pick and choose tools for their budgets and often get the most bang for their buck. Some of the Best-of-breed solutions have features and pricing tiers that can scale as your business grows, whereas with a large marketing cloud, this might not be the case and you could end up paying for a bunch of services and features that you don’t use (or need) when you’re just starting out. The bottom line: When it comes time to select an ESP that meets your automation needs, often the best choice is a best-of-breed solution that will enable you to build your perfect marketing stack. For teams that don’t have a ton of time to invest in training, it’s important that an ESP’s automation features are flexible and easy to use with little training time required. Otherwise, it could be weeks or even months before the company begins seeing ROI. You need an ESP that is quick and easy to implement allowing you to realize immediate ROI. And, it shouldn’t require a small army of specialists to use it. The bottom line: Most of the time, you can spot the ESPs who over-complicate automation right away. They’re the ones whose information and websites make you feel overwhelmed and your palms sweaty. Instead, seek out the ESPs who make automation easy. 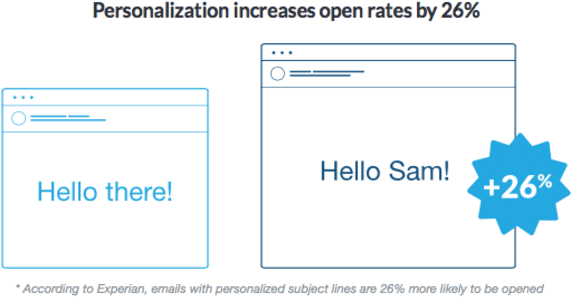 Data shows that personalized emails are 26% more likely to be opened and that they can generate up to 760% more email revenue–so it’s extremely important to find an ESP that has personalization features you can incorporate into your automation efforts. The more relevant and personalized you can make your automated emails, the more likely you are to connect with a subscriber with the right message at the right time, thus creating a conversion that translates into ROI. Make sure that ESPs not only have these features but that you’re able to tie in your data to use them efficiently in your communications. Speaking of integrations…automation depends heavily on the ability to seamlessly and efficiently integrate with a variety of tools. Whether it’s an integration with your CRM that helps trigger a unique customer journey or an integration with your eCommerce application that helps send automated emails based on purchase activity, it’s important to find an ESP that “plays nicely” with all of the tools your company uses on a daily basis. Most of the time, you can quickly verify which integrations are currently available for the ESP by browsing their integrations page. However, if you see that you have an app or tool that’s unlisted there, be sure that the ESP you choose has an API your team can work with so that a solution can be found. The bottom line: Integrations are everything when it comes to automation and ESPs. Make sure you have all your boxes checked before picking a solution. What they don’t need are costly tools that require in-depth training, that offer little to no ability to personalize their email marketing, and that have limited integrations. Will it take a while to find the perfect ESP that meets all of your needs? Maybe. But taking the time to find the right solution will be well worth the investment. 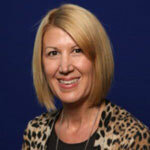 Kim Stiglitz is the Director of Content at Campaign Monitor. Campaign Monitor offers email marketing and marketing automation software for growing businesses. Campaign Monitor works with thousand of customers and prospects who are going through the marketing automation research and buying process.